How Do You Know How Much to Put Down On A Home? For many prospective home buyers, the down payment is the most daunting hurdle in the race to buy a home. Even for people with decent credit and a healthy paycheck, the down payment can be the great homeownership killer. “It’s a myth that all homebuyers must have a 20 percent down payment to buy a home,” says Nancy Herrera-Siples, a Riverside, CA, branch manager at Primary Residential Mortgage. So why all the fuss over having 20 percent to put down? “Because if you don’t, it usually means you’ll have to shell out money for either private mortgage insurance (PMI) or government insurance, which is usually financed by the Federal Housing Administration,” according to Herrera-Siples. Still, when a low down-payment is your only option to buy a home, PMI might literally be a small price to pay. 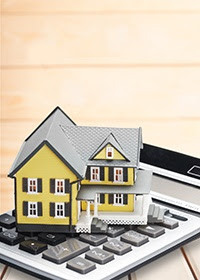 Remember that PMI goes away eventually when your loan balance is 80 percent or less of the home’s value. If you’re in an area where homes are rising in value, this could happen sooner than you think. OUR HAVEN FOUNDATION WANTS YOU!